During the holidays, it can sometimes get pretty chaotic amidst the joyful festivities. But don’t fret: Your holiday glam will definitely not suffer. In this post, I will show you two easy ways to pump up your makeup look with very minimal effort. 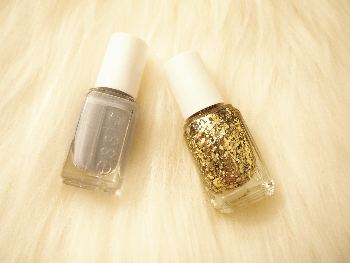 These two beauty looks will have a maximum impact in little to no time at all! One of the easiest ways to pump up a makeup look is to go bold! 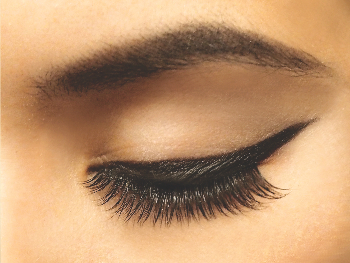 Fill in those skimpy liners and give yourself a bold cat eye. The sharper and thicker, the better! 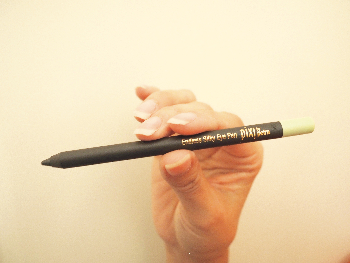 I’m using the Pixi by Petra Endless Silky Eye Pen in Slate Grey. This pencil is great at creating a heavy line, but it is maneuverable enough to create a sharp, tapered end. The next beauty look is even easier than the previous one! 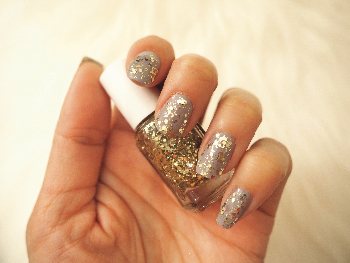 Sparkle and shine by glazing two coats of Essie gold glitter (Rock at the Top) on your nails. That’s it! It’s extremely easy, and it gives such a big impact! Try challenging yourselves by creating only two changes to your current beauty look that have a maximum impact with minimal effort! For a limited time, there is free shipping and returns on all Target.com orders, from now until 12/25!